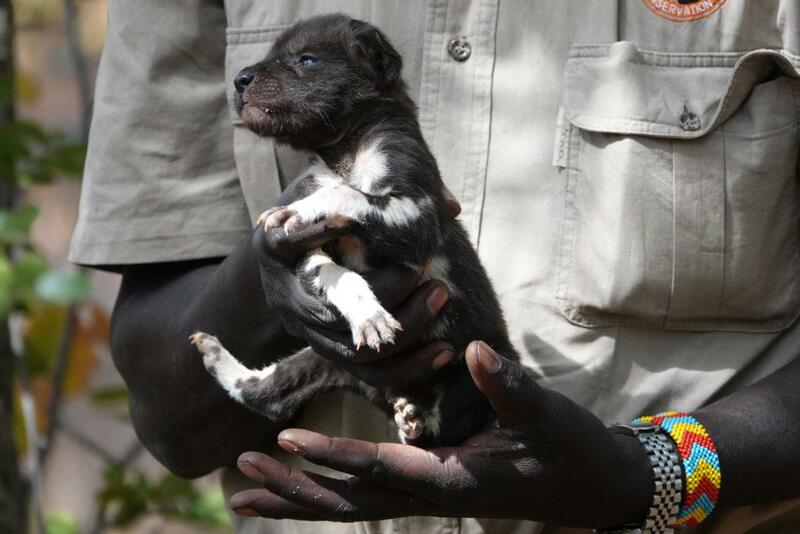 The painted dog pup—only two weeks old—rests in Peter Blinston’s gloved hands. Its mottled black and white fur is covered with sand and its small body is warm. 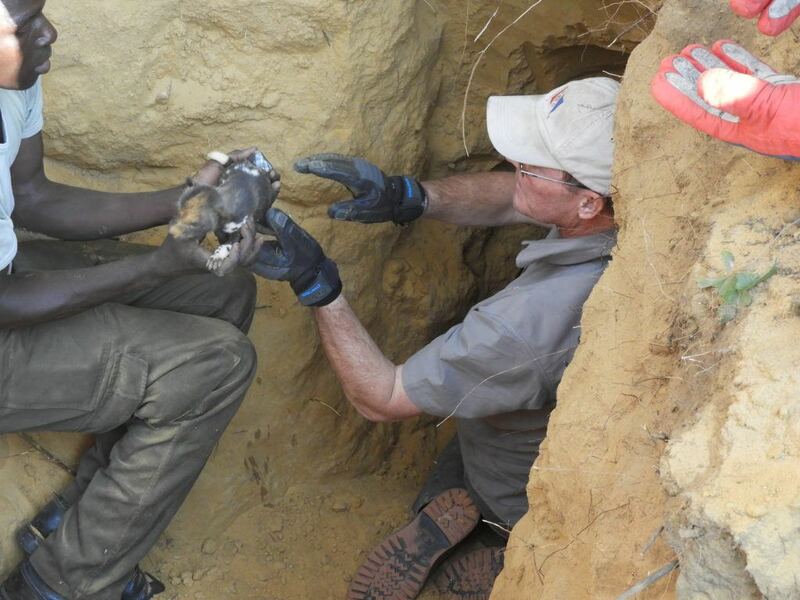 Peter, executive director of Painted Dog Conservation (PDC), carefully lifts the tiny creature from its den inside a two-meter deep pit and hands it to a team member above ground. This is the eighth and last one. Once they’ve reunited the pup with its mother and siblings, all resting in a carrier nearby, the men load up the truck and set off on the three-hour drive back to PDC’s headquarters in Dete, Zimbabwe. The future of this pack is now secure. Six weeks earlier, community members from the village of Phindo—located 62 miles southeast of Dete—discovered that two painted dogs, a male and a female, had denned close by and were picking off their livestock. The villagers were desperate to stop this; livestock are integral to their survival. They simply could not afford any more losses. They had heard about Painted Dog Conservation, so they contacted PDC hoping they could relocate the dogs. Without relocation, the villagers would be forced to get rid of the dogs on their own. 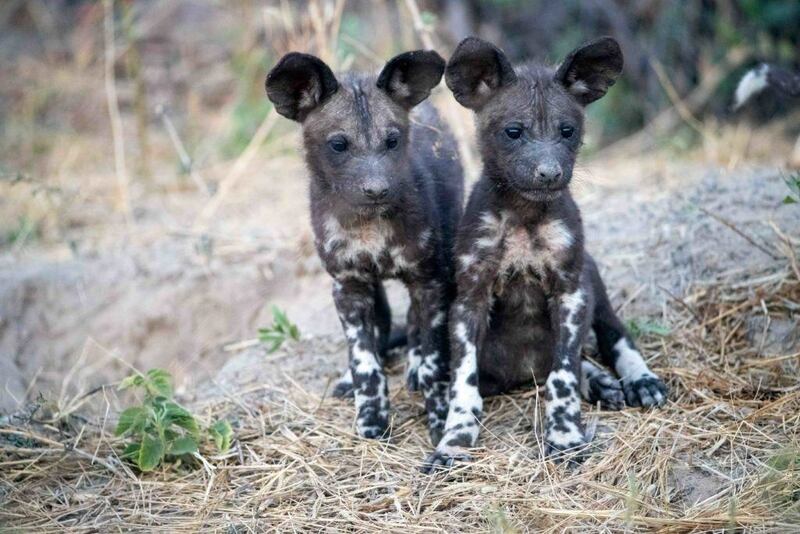 Peter Blinston and the Painted Dog Conservation team safely rescue and relocate all pups and their mom to their headquarters in Dete, Zimbabwe. Most landowners across the continent view painted dogs as dangerous pests; as a result, they are often poisoned or shot. As one of the world’s most endangered animals—once numbering in the hundreds of thousands, but with fewer than 7,000 today—the death of even one painted dog can be devastating. As pack animals that cooperate on everything, from hunting to taking care of their injured to raising their young, the loss of one pack member can essentially destroy the entire pack. While PDC had not worked with the Phindo community before, the fact that they had asked for help rather than killing the dogs was a tremendous testament to the far-reaching effects of PDC’s education and outreach programs. It was proof that people’s negative attitudes about these beautiful animals could change. The Phindo pack is currently safe and sound at the rehabilitation center at PDC’s headquarters—a comfortable fenced-in area where they are being kept until they can be released back into the wild. They will be released when the pups turn six months old, when they will be strong enough to keep up with their parents. This rescue is a precious reminder of how important building relationships with communities is to conservation. In some situations, like this one, it is all that stands between life and death for painted dogs.